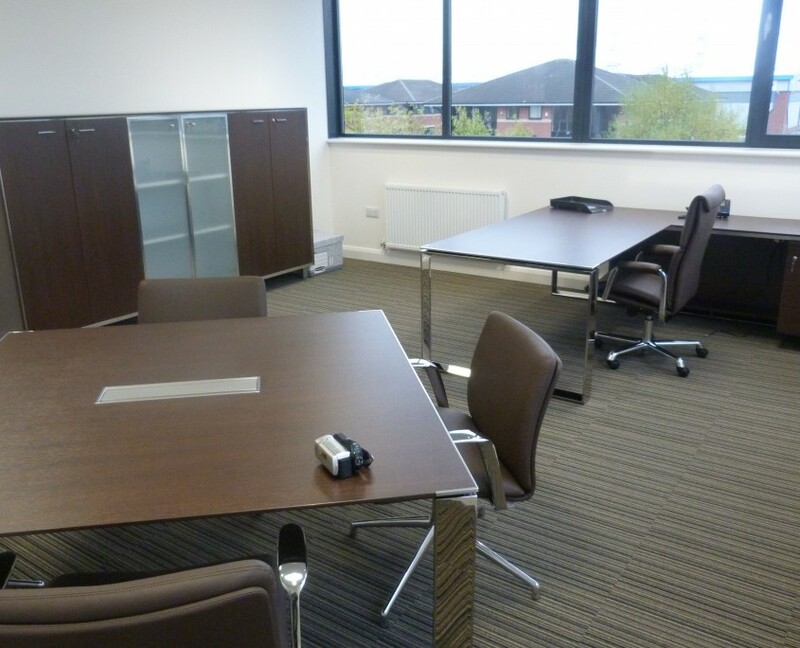 When Tygavac were moving to their new premises on Broadway they asked the building company WDB if they could recommend a furniture company who said to give Bevlan a call which resulted in Bev meeting with Kerry the MD of Tygavac and developing a great working relationship bouncing ideas around and making suggestions that resulted in a modern but practical working environment. 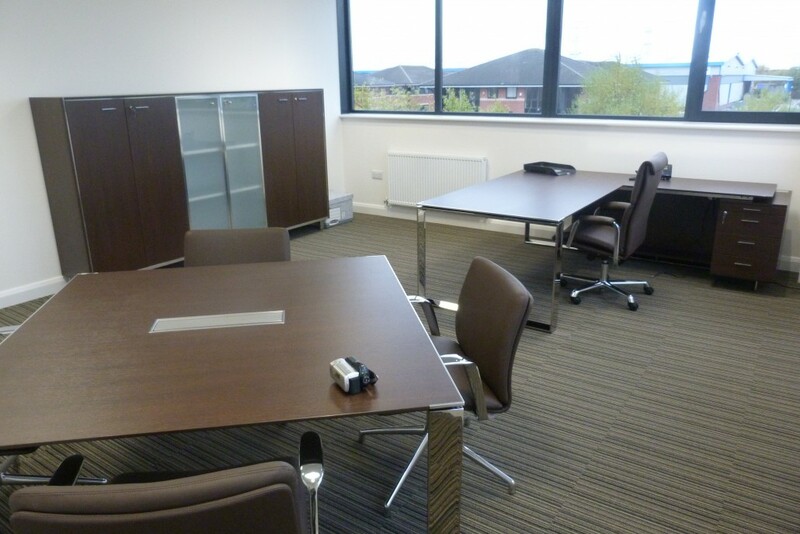 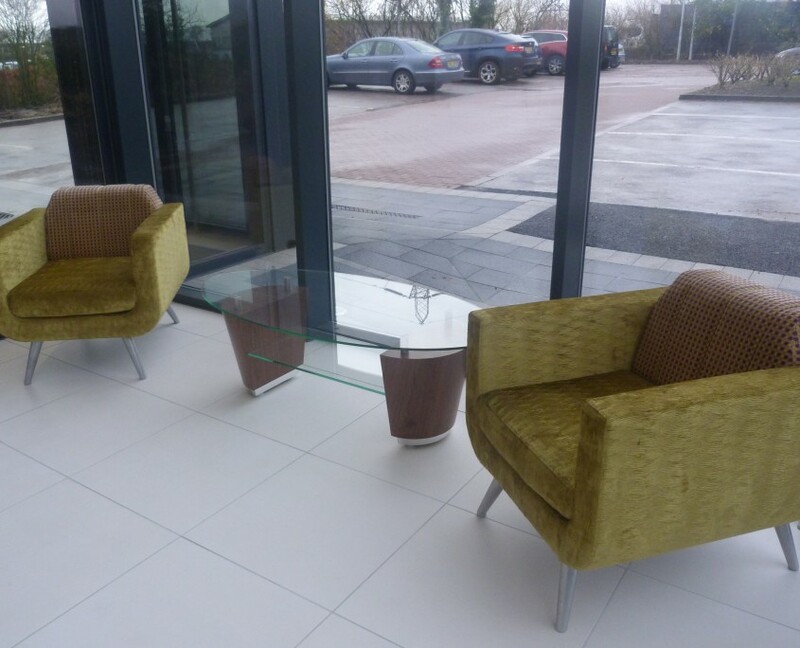 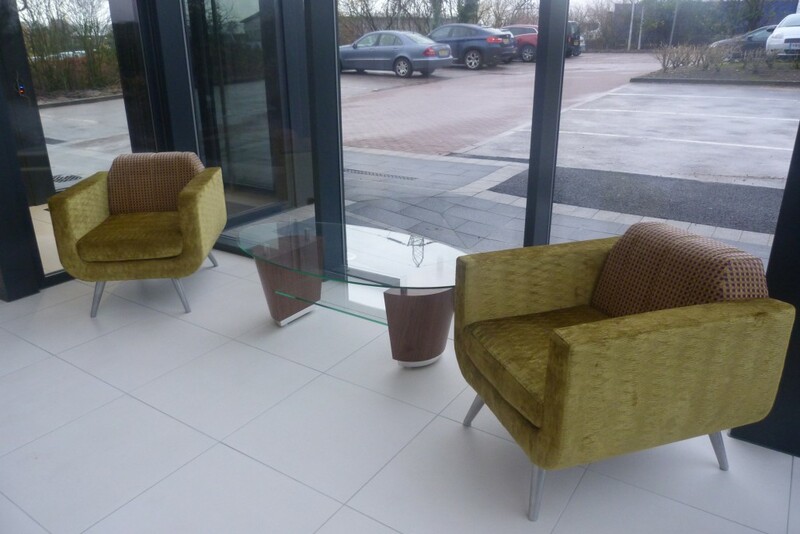 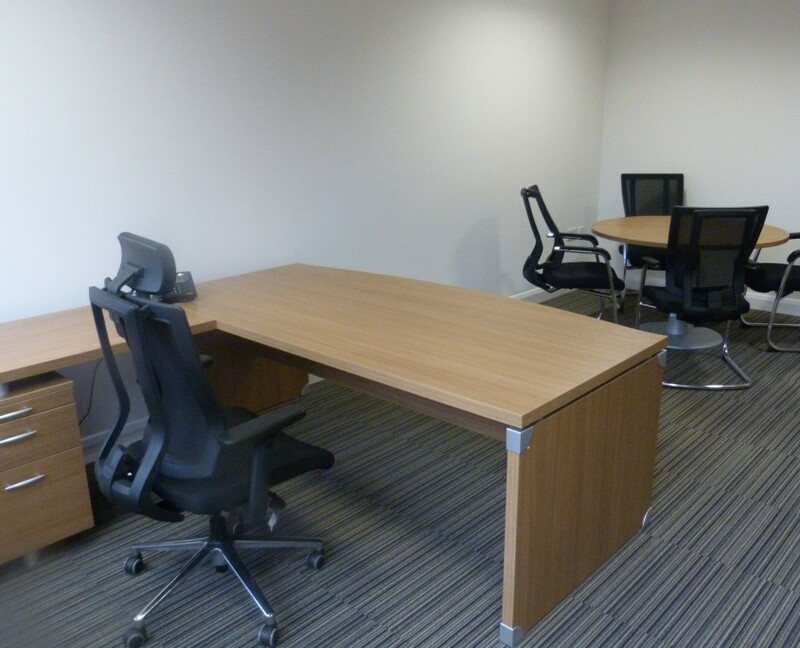 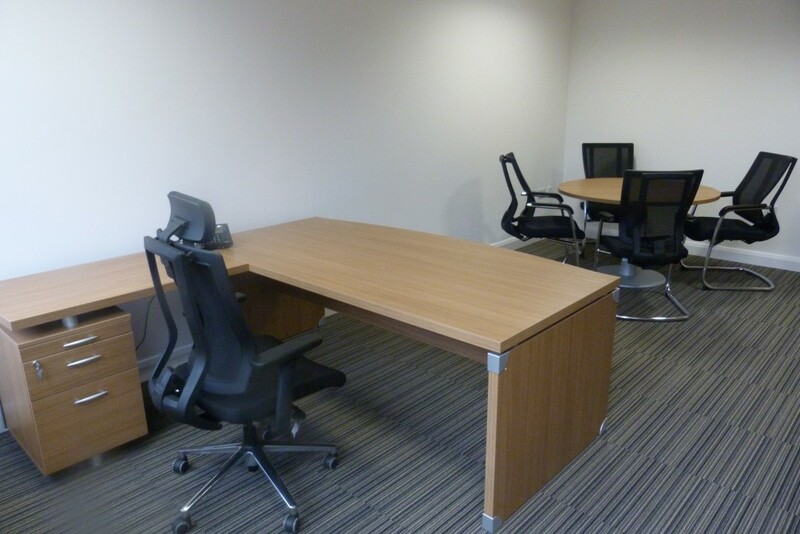 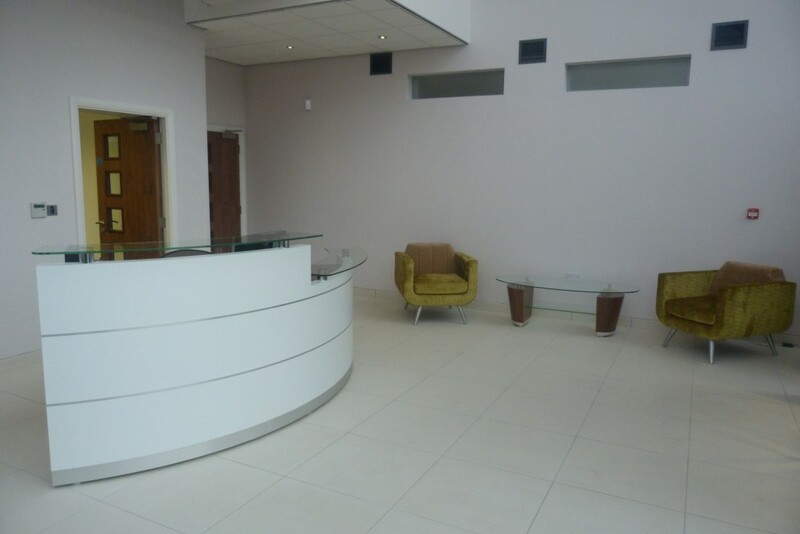 We supplied furniture for meeting, waiting, reception, office and cafe areas as well as the executive and warehouse offices. 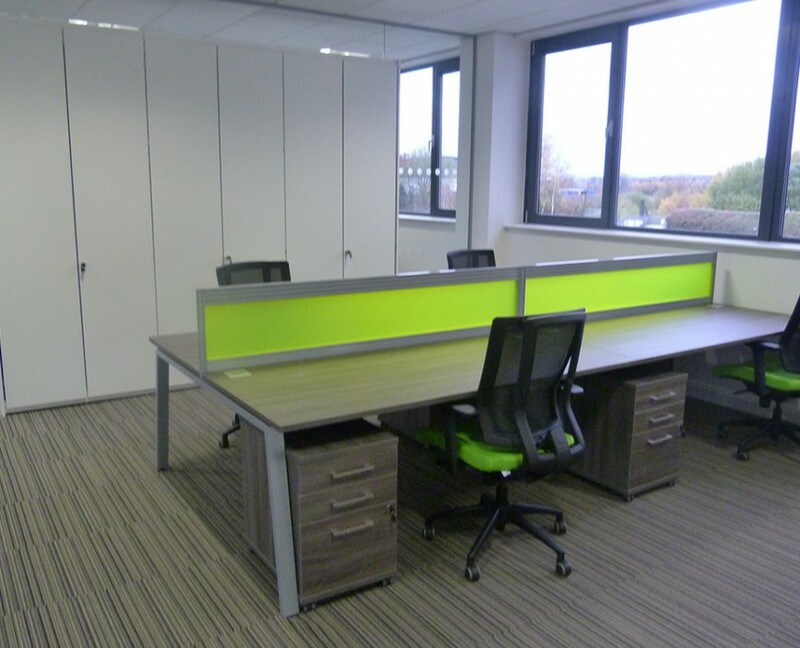 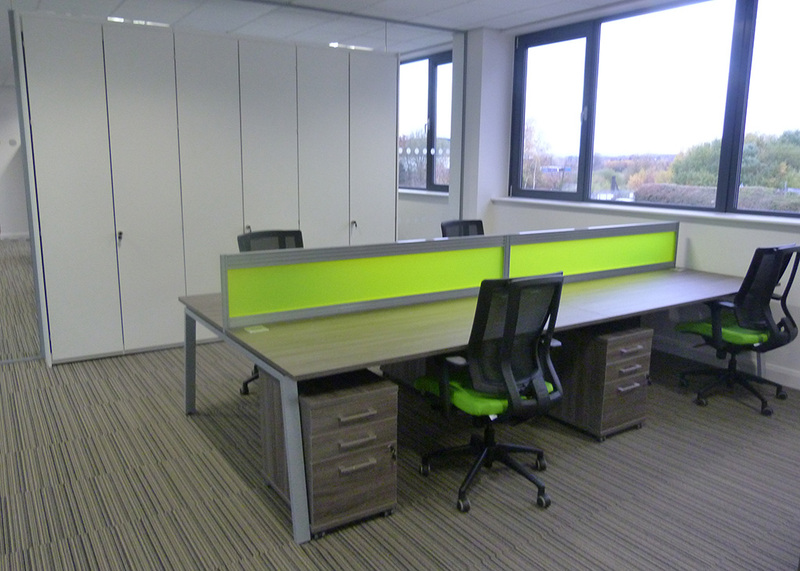 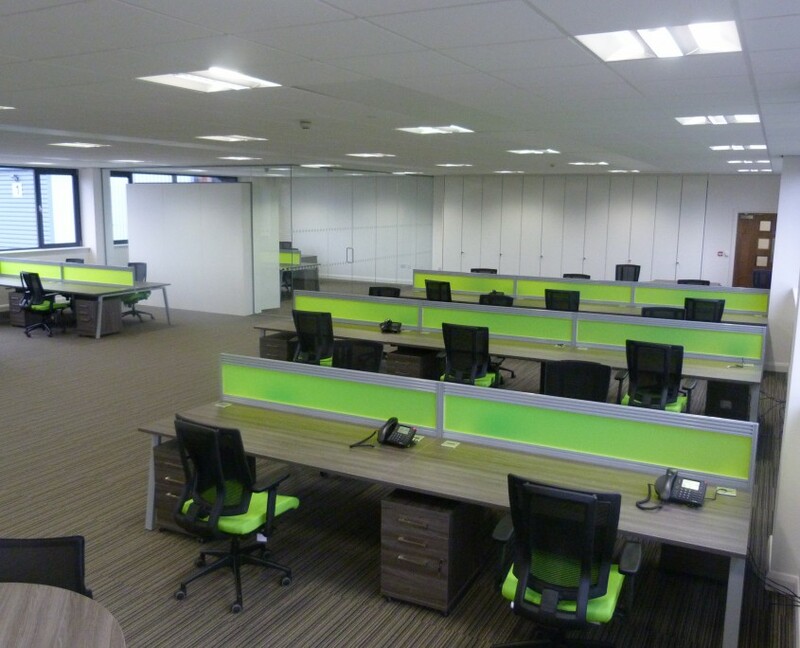 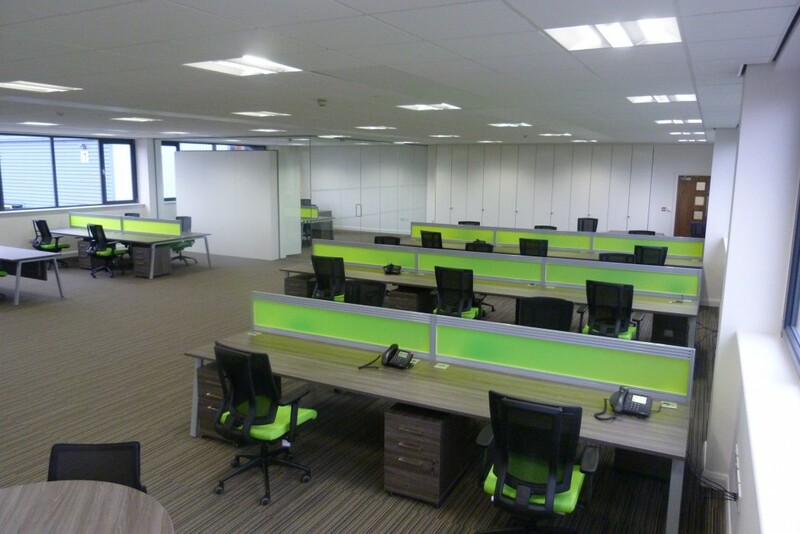 We used the ibench range of bench desks in the main office in anthracite with lime green perspex screens to add a vibrant colour with Negus mesh back chairs with lime green fabric, white storage wall was used for a clean look creating plenty of floor to ceiling storage with shelving and roll out filing. 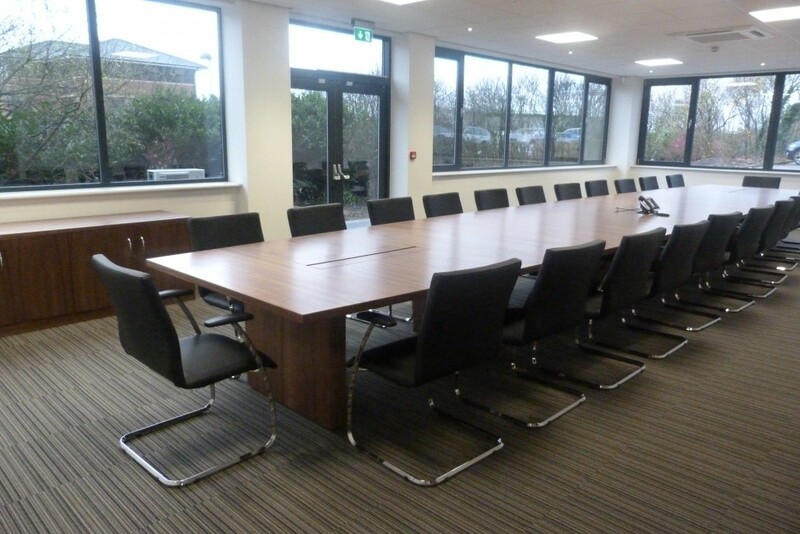 We used Tula to create a bespoke boardroom table to seat 22 people in walnut veneer with power flaps and a matching credenza with fridge, to compliment this we put the Vogue meeting room chair in black leather round. 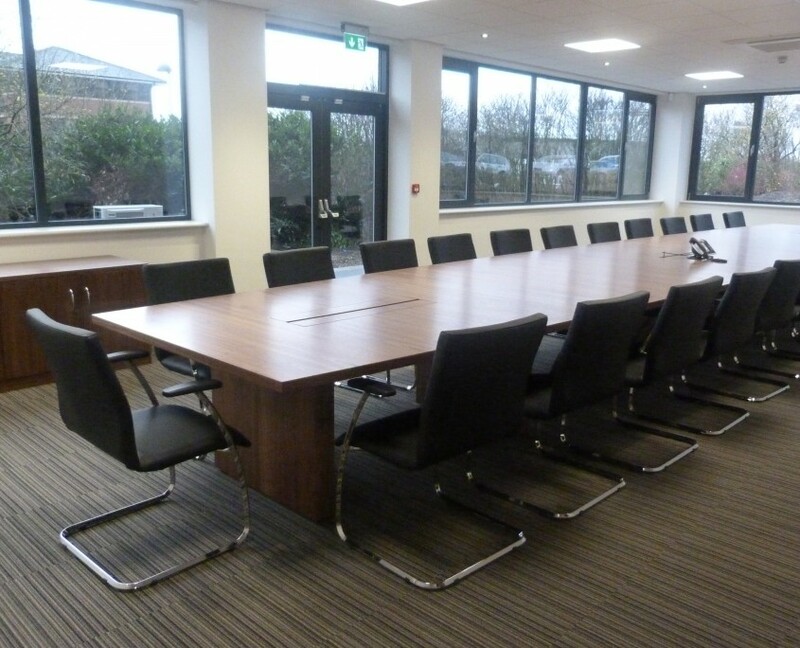 In the executive offices Quadrifoglio’s X Time manager’s range was used in walnut and in the M.D’s office Officity X7 range in wenge with Boss design Delphi and Tokyo seating in leather. 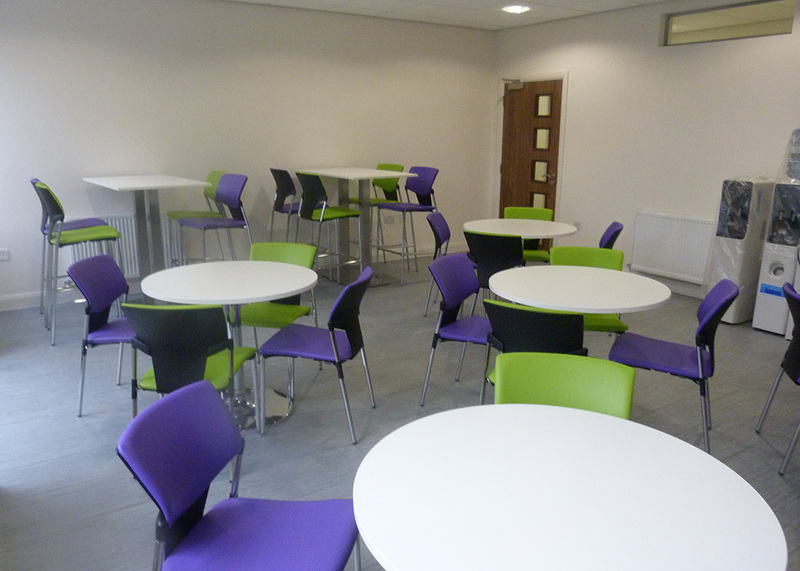 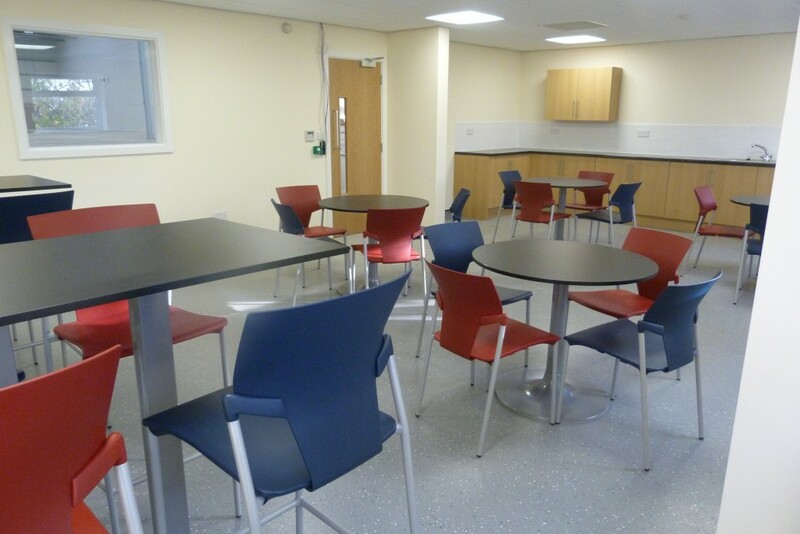 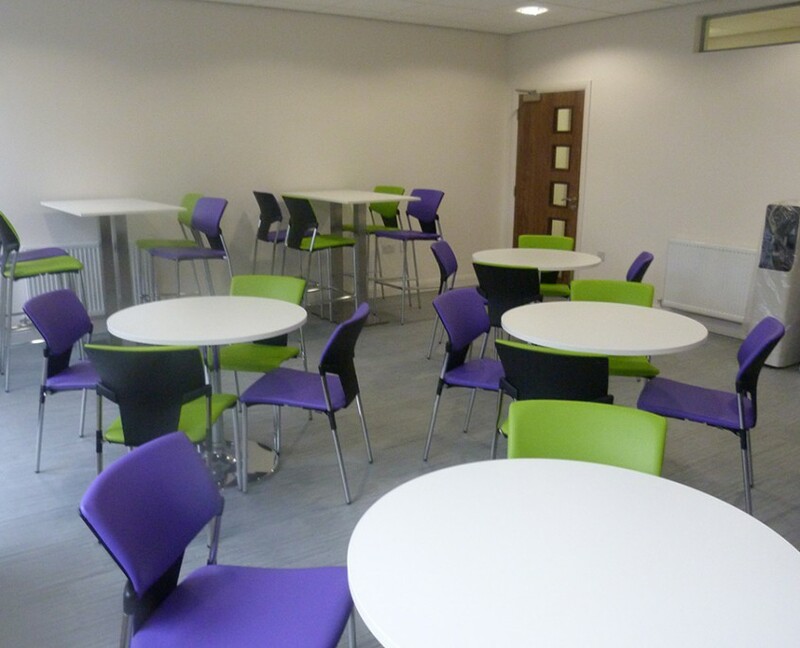 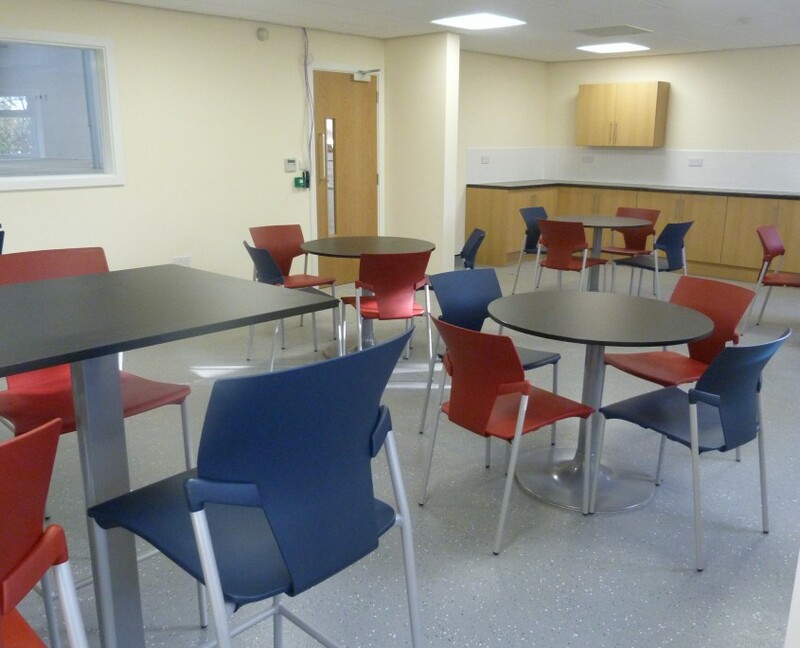 Everyone was delighted with the cafeteria areas where we used chrome based dining tables and the ikon chair in funky purple and green vinyls but kept them a little more conservative in the warehouse canteen area. 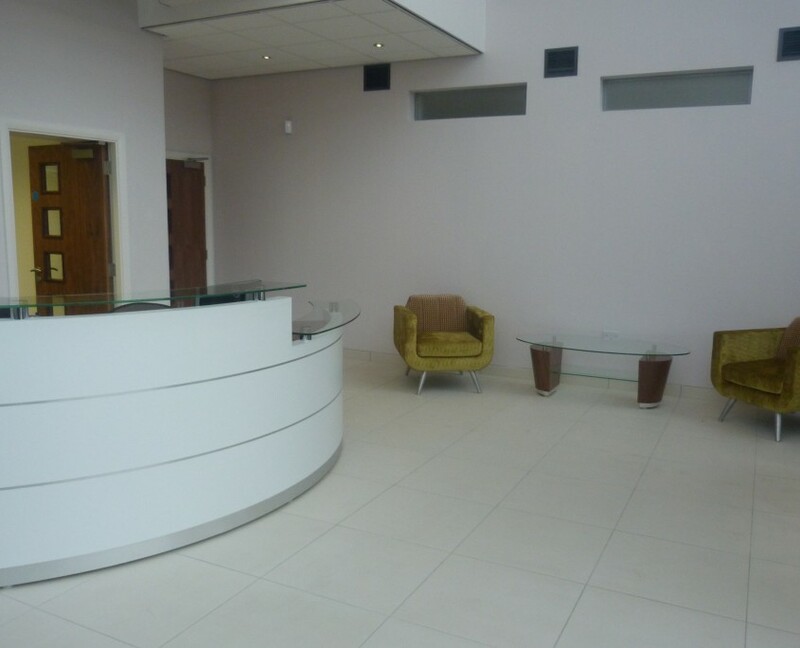 In the reception again they went for a Tula product with a Scene counter in white complemented by Rocco reception chairs.